External parasitosis . Treatment and prevention of flea infestations ( Ctenocephalides spp. ) And ticks ( Ixodes ricinus and Rhipicephalus sanguineus ) in dogs. • Treatment and prevention of flea infestations ( Ctenocephalides spp. ) And ticks ( Ixodes ricinus and Rhipicephalus spp. , Ixodes scapularis , Dermacentor variabilis ) in the cat. strategy in the treatment of flea allergy dermatitis ( FAD). • Treatment and control of lice infestations picador ( Trichodectes canis ) in dogs and ( Felicola subrustratus ) in the cat. • spray the entire surface of the animal keeping the flask at a distance of 10 to 20 cm . Evenly spread and against the grain, so that all the skin is wet, spray them avoiding eyes. • Rub after application , so that the product penetrates to the skin. Allow product to dry naturally. Do not dry with towels. Ensure that treated animals do not lick until completely dry . Apply 3 to 6 ml / kg P.V. ; 3 ml / kg P.V. Shorthaired animal ; and to 6 ml / kg P.V. in animals with long hair. 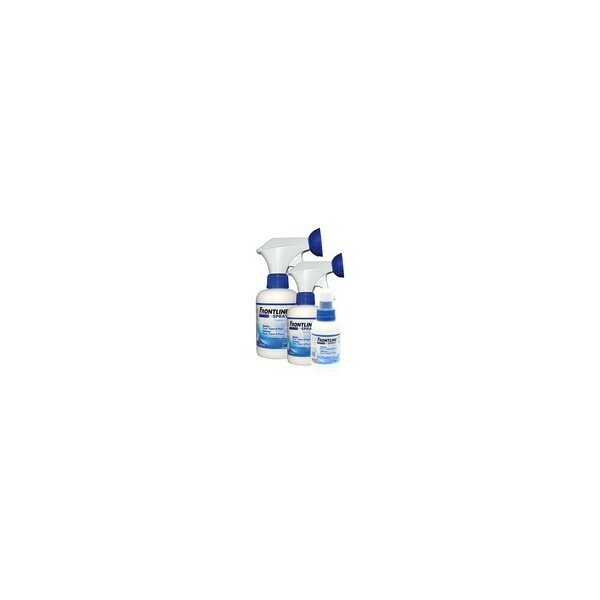 Frontline ® Spray 250 ml: 3 ml = 2-4 sprays. 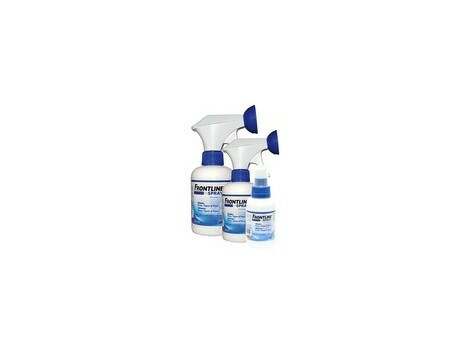 • The product is active for two months against fleas for one month against ticks . Eltratamiento ticks will face at least once a month . • Head to head lice, it is necessary to treat the animal at four weeks after the primeraaplicación . • As part of the strategy in the treatment of flea allergy dermatitis (FAD ) serecomienda a monthly application in allergic animals and those who live with them .